New parents face many challenges, but single mothers have to go through their fair share of unique experiences. Many single moms tackle the same issues – anxiety over money, and self-doubt over decision making. When you become a single parent, it can be a rather stressful and overwhelming time in your life; you have to face raising your kids without your partner’s support. While most women do not plan to bring the kids up by themselves, unfortunately, circumstances can force their hand. In addition to trying to keep up with daily chores and family routine, you are also coming to terms with a recent breakdown of a relationship or the loss of a partner. It is often the case that you put your feelings and emotional well-being at the bottom of your list of priorities. There are many stories of parents who feel guilty if they take some time out for themselves. However, this is as natural as taking a little break and is an important part of coping with and surviving as a single mom. It may be a luxurious, relaxing bath that you allow yourself after the little ones have gone to bed or perhaps the occasional dinner with friends. But at times, it can be tough for you to manage the practical things in life like cooking and chores, balancing work and home, various school runs, etc. 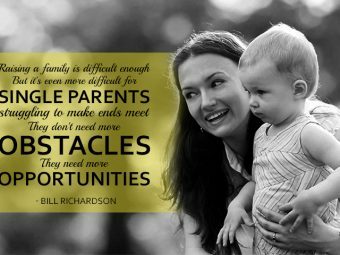 In this situation, many single moms wish that they could split themselves into two to handle everything. However, it is important to remember that you can only do what is possible and when you push yourself too hard, it could lead to emotional burnout. So, here we have put together some information on how to deal with being a lonely single mom. Read our tips below. One of the main issues that single moms face is not having a partner that can rely on when it comes to raising their children. As you know, no one is perfect, and you can go through a bad parenting moment or even a day. When you do not have anyone to tag in, it can be tough and may even result in a parent tantrum. When you are overwhelmed with a certain situation with your child and do not know how to handle it, take a moment. Go to your room, close your eyes and breathe deeply in and out. 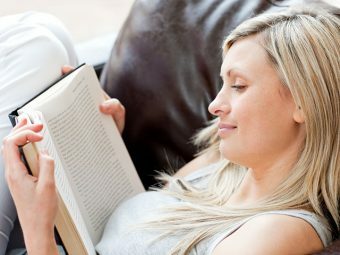 According to experts, having a relaxation technique that works for you can clear your mind and help you refocus (1). You reset your mood and your mind and will be able to handle whatever situation you are in and do what is needed for your child. Many single moms say that taking a moment works as it prevents them from acting out in anger towards their children. When you are a single mom, it can be difficult to know whether you are doing a good parenting job. When you have a partner, you have someone to talk to about whether your methods are right or wrong. There is someone to help you see the good in your positive parenting moments, and when you fall short, there is someone to help you make improvements. As a single parent, you have to take it on alone, and it is not always easy. 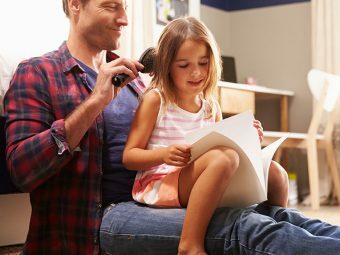 You can start to have doubts about whether you are a good parent, and this can bring down your confidence and affect the relationship between you and your child. Surrounding yourself with other mothers can be beneficial. You get to see where they fall short and learn what to and not to do. You can also get inspired by the things you see them doing well. You can always learn from others and use what you learn in certain situations that come up with your child. However, always keep in mind that no one is perfect and that there is no such thing as the “perfect mother” or “perfect parent” (2). Know that you are doing something right because your child is thriving and happy. One of the most challenging things that single moms have to go through is making decisions without a partner (3). Many a time, it can get extremely stressful to make all decisions on your own. You need to think about everything from what to buy for your home to what school to choose for the children. Many single parents feel that they can ask friends and family for advice, but at the end of the day, they are the only ones completely vested in their children. The truth is that you have to trust yourself and believe that everything is going to work out. Think of having to make decisions alone as an honor. Yes, there will always be questions, but the responsibility will make you a better person. 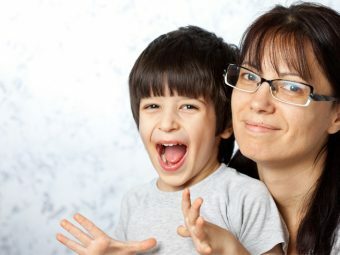 Many single moms find independence and confidence as a result of having to make decisions alone. The best part is that you do not need to negotiate with anyone when the decision is your own. A constant challenge among single moms is loneliness (4). This hits you the hardest when the kids are with their other parent. Getting used to being away from the kids is one of the toughest parts of being a single parent. Many women say that they feel extremely lonely when their kids have to go away for the weekend and often, they sit around listlessly until they return. The best solution is to plan activities when your kids are away. It is best not to give yourself a chance to get lonely. You should reach out to friends and schedule dates with them, whether it is going to a karaoke bar, a movie or going to dinner. Take this time to do things that you cannot do when the kids are there. You should use this time to rediscover yourself – go to a museum that you could not visit with the children or put on some loud music and dance around the house. This is a great time to liberate and rejuvenate yourself. Your kids will come home to a happy you which will make them happy too! Everyone worries about money, but it can be even more overwhelming for single moms as they have no one that they can rely on to shoulder some of the financial responsibility. Worries about money on top of everything else that you are coping with can have a major effect on your emotional well-being (5). It can be even tougher as it is not something that you can talk to everyone about so the burden gets even heavier as you feel that you cannot confide in anyone. Prioritizing your money is important and budgeting your money can be very helpful. One thing that you can do is write out a budget every month. This way, you will know what you are spending all your money on and where it needs to go. You can alleviate a lot of the stress and anxiety when you handle your finances well. Raising a child in a single-parent household is not the plan that most women have, but circumstances lead to the inevitable. Many women constantly worry about how their child would handle knowing that their father is not around. They would not be like other kids who had both parents coming to school meetings and events. They would not be able to play or have talks with their dad. It is a good idea to prepare yourself mentally for any questions that your child might ask one day. Think about every scenario and every possible question and prepare. And remember that there is no cookie-cutter definition of a family in today’s world. The family is what you make it, and it can include friends who become a part of your family (6). When you embrace this idea, it is the first step to embracing the family that you have. When you are a single parent, people often expect you to be Superwoman. After you spend your day at a full-time job and then come home to mommy-duty, you can easily forget about your needs and taking care of yourself. It can be easy to forget the woman you were before you became a mother. Needless to say, it is important for you to take care of yourself (7). You should take out, at least, one hour every week so that you can do something for yourself. It is essential to do you do things that allow you to reconnect to who you were before becoming a parent. Whether it is writing a journal, going for a walk or a hobby that you loved, like painting or writing poetry, you need to have an activity that is all about you. This way, you never lose your sense of self. You need to make sure that you take care of yourself. This means eating a healthy diet, exercising and getting enough proper rest and sleep. This is the foundation for you to be able to take good care of your children and raise them well. You need to make sure that you have the stamina and the strength to take care of your children. You do not have a partner that you can depend on if your health takes a bad turn, care for yourself. To get things done, make sure that you plan everything carefully by the hour. Time management is important as once you learn how to manage your time; you will enjoy taking care of your children more and also have more quality time to spend with them (8). Apart from that, you can finish all your chores and errands promptly and go to bed without any worries, knowing that you have completed everything that needed to be done. As a single mom, you have to go to work during the weekdays and most of the time, you do not have time to cook for you or your kids (9). The best solution is to prepare meals in bulk during the weekend and storing them in the freezer. The kids can pop the food into the microwave once they are hungry. This way, you save a lot of time and energy. It also frees you up, so you can spend some stress-free time with your little ones. This also keeps unhealthy foods like pizza, etc. away – things that you would order because you are too tired to cook after a long day at work. As mentioned earlier, exercise is important to take care of yourself. It also helps with stress so take at least 30 minutes out of your day for a stress-relieving workout. For instance, jogging is not only a great form exercise to keep your body fit, but it also helps to clear your head. Once your head is cleared, you feel more rejuvenated. If your little ones are not old enough to be left at home alone, go for a walk around the block with them or take them with you for biking around the park. You do not just get to spend some quality with them, but also encourage healthy living habits. Because you are a single parent, you will be getting parenting advice on how to raise your kids from everyone all the time. This can be very stressful on its own. It is okay to listen to people when they think that they are giving good advice. They obviously have the best intentions and think that they are doing you a favor. However, it is important to never second-guess yourself if your intuition tells you what is right. You are the only person who knows your children and your situation best. This has already been mentioned earlier, but it is super-important to remember to take the time to relax and pamper yourself (10). From time to time, you need to do things that are solely for YOU. A “Me Day” is good for any mom. With the stresses, you face at work and home, you need to make sure that you do not have a breakdown, physical or emotional. You can ask a friend, a family member or a babysitter to watch the kids while you go and do something that you enjoy. It is important for you to recharge your batteries. After all, apart from working full-time, you are also a full-time mom. So taking a break is a must. As a single mom, you may think that you need to do it all yourself. The truth is that you cannot. You are going to have times when you need help, and you should know that it is okay. After all, you are only human! When you need a helping hand, do not hesitate to ask close friends and family; they will only be too glad to spend time with their favorite kids. There will be many times that you obsess about things that are beyond your control (11). For instance, if your child’s other parent says that he will be coming to see your child, but he does not show up. You cannot force him to visit. You cannot help it if he says that he will be there, but does not make it. These are the other parents’ issues – things that he needs to manage. They are not your problems so do not lose sleep over it. Instead, focus on the things that you can control, and that is what kind of parent you are. When you are a single mom and have every little thing falling on your shoulders, there are times when the smallest little things can make you lose your temper. You need to know how to keep your cool. Do not yell at your kids; you are sure to regret it. Instead, leave the room and count to 10. It is a guarantee that you will feel better in a few minutes and ready to take on anything with a smile on your face. It can be tough to be calm and cool when you have so many responsibilities but know that you can be strong and handle everything that comes your way. You need to make sure that you get all the support, help and advice you can. Being a single mom takes a lot out of you, so it is important to make sure that you have a great support network. You should have people that you can count on whether it is to take care of the kids for a while or just someone to talk to when things get overwhelming, and you feel like you cannot handle it. Apart from friends and family, you can reach out to support groups. The more support you have, the better. Remember that it will not just be you who is having a hard time. Your child will go through a lot too. Whether you were recently divorced or had your child out of wedlock, your child will have mixed emotions about the situation. It is important for you to be open at all times. You should encourage everyone in your family to express themselves freely. When you are honest and approachable yourself, you can help your children come to terms with their situation. Keep in mind that they may not want to talk for a while, so it may take some time for them to open up. You need to respect that and quietly and slowly encourage them to talk to you. 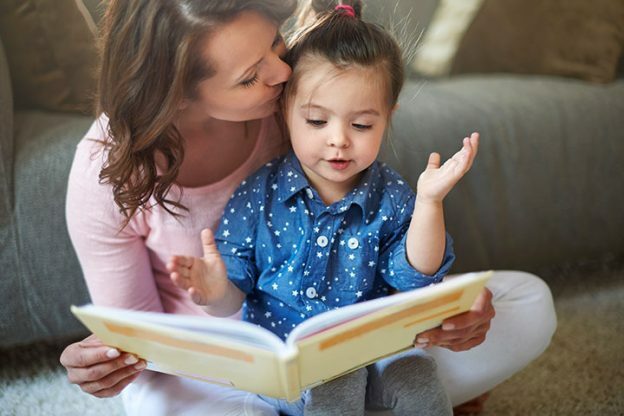 It may sound a little silly, but if you live alone with your child, there is no one to share your achievements with, whether it is potty-training your little tot or serving up a healthy and hot dinner after coming home from a long day at work. You should be aware of these epic accomplishments and know that you are the one who is making it all happen. You deserve the recognition for doing such a great job (12). So take the time to pat yourself on the back and congratulate yourself on a job well done every once in a while. Being a single mom comes with many positives as well as negatives. Remember that this does not mean that your future is something that just happens. Do not be afraid of it. It is important that you think about where you hope to be in a year, or in the next five years, and start setting goals that you can achieve so that you can reach your target. Your future is just as bright as anyone else’s. Always know that you can achieve your goals for the future whether it is in your personal or professional life. Being a single mom is tough, but you can deal with the stresses that come with it. And remember that you are not alone. There are numerous women just like you, raising children on their own and doing a fantastic job of it. Just remember that you cannot do it all alone, so get the support you need, be it from family members, close friends or a support group. Keep a great network of people around you and you will be able to take on anything that comes your way. Tell us about how you deal with being a single mom? Leave a comment below.